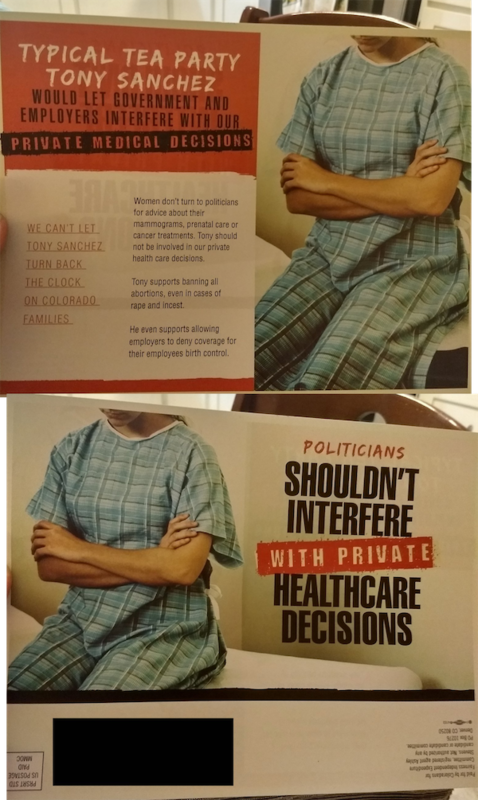 This mailer from Democratic super PAC Coloradans for Fairness calls Republican Tony Sanchez "typical Tea Party" and notes his opposition to abortion and support of allowing employers to exclude birth control from health insurance plans. In the past, Sanchez has been linked to groups that oppose abortion. He faces Democratic state Rep. Brittany Pettersen for the open seat centered in Lakewood and southwest Jefferson County.